Reza is the author of our recently published Microsoft SQL Server 2012 Integration Services: An Expert Cookbook which includes step-by-step instructions to create Data Flow, real time examples and working with different sources and destinations and helps readers master all transformations in SSIS and their usages with real-world scenarios. Reza Rad is a Senior DW/BI Consultant and also Author, Trainer and Speaker. He has a BSc in Computer engineering. He has more than 10 years’ experience in programming and development mostly on Microsoft technologies. He received his Microsoft MVP in SQL Server in 2011 and 2012 for his dedication in Microsoft BI and specially SSIS. Reza has been working with the Microsoft BI suite for more than 6 years. His articles on different aspects of technologies, especially on SSIS, can be found on his blog: http://www.rad.pasfu.com . He is the author of Microsoft SQL Server 2012 Integration Services: An Expert Cookbook and was the co-author of SQL Server MVP Deep Dive Volume 2. He is an active member on online technical forums such as MSDN and Experts-Exchange, and is a MCP, MCTS and MCITP of BI. Packt: By publishing a book, you have opened a new chapter in your life. How does it feel? Reza: I feel responsible about what I wrote. A book can help a lot of readers to get deep into the subject area and be a master in that subject if the book is well written. I and Pedro tried to do our best in this book, we gathered all our experiences of working with SSIS (SQL Server Integration Services) and created a bunch of real-world samples for readers. I am sure that readers will get to expert level with the help of this book. I always welcome feedback and like to know how they feel about our book. Packt: How will readers benefit from this book? Did you learn anything new while writing the book? Reza: This book is about SSIS 2012, and explores all new features of Integration Services 2012. This book has a real-world sample for each section and readers will learn technical aspects with samples of real-world projects. From our point of view this can be the best way to get an experience while learning, and not just reading. Packt: Our authors usually have full-time jobs whilst writing for us. Was this the case for you and how did you approach managing your time? Reza: I and Pedro also have fulltime jobs, and both of us are engaged as trainers and instructors as well. Even one of these activities is time consuming enough, but we intended to write about this topic because we liked to share our knowledge and experience with the world. That was really hard but Pedro and I had some nights without sleep to provide a worthy book that could be a reference material for SSIS learners. Packt: Whilst writing your book, did you find that it overshadowed personal life in any way? How did you deal with this? Reza: This book (and any other book) requires months of hardwork. I should appreciate my wife because she helped me very much while writing; she motivated me and without her support this book would never have been completed. Packt: Do you have any advice for other authors who may be interested in writing for Packt, but are still unsure? Reza: I wrote a chapter in a book before but have never been connected to other publishers directly. I cannot compare Packt with other publishers now, but my experience with Packt was really good. They supported me from the beginning till the end of the project. If you have an idea worthy to write, I think you can rely on Packt. Just create your proposal and send it to them; they will consider the market place of course and support you on that project. This is a win-win business, they need good authors and you need a good publisher. Packt: What tips or tricks would you like to share with other authors? Reza: I learnt much about the process of writing a book, from creating a proposal to printing the book. That was really a good experience which I think all authors will find interesting. I found that writing a book is really a hard job, but very intriguing. While writing the book you may be disappointed but finally you will find it worthy, much more than you imagine. Packt: During the writing process, did you come across any issues/ difficulties that affected your writing and how did you overcome these? Reza: Time was our enemy while writing this book, and I found that I should define more flexible timings next time, because there are always unexpected events (conferences worldwide, work environment commitments…). I found that if I consider those when I schedule the timing for book authoring then I can face them much easier. Packt: What is your favorite relaxation technique when the pressure is too high? Reza: I prefer to spend a few hours with my wife and my friends, they always help in reducing the pressure. Sometimes when situation is really though, a trip with my family will make me relax for at least the next few months. Packt: Was there anything interesting that happened during the writing of the book? 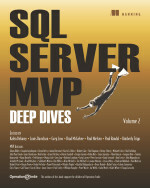 Reza: I had a co-author on this book who is my friend (Pedro, Portuguese SQL Server MVP). Writing a book together was really a good experience for me; He is very knowledgeable and hard working. I had great moments with him while writing this book. I use this opportunity to thank Pedro. Packt: How did Packt’s Acquisition Editors help you - what kind of things did they help you with and how did they support you throughout the writing process? Reza: I had a proposal on my mind about the subject area, and Packt’s Acquisition Editor helped me to create a well-designed formal proposal and timings for that subject area and opened a new project for our book and followed to start our project and were with us till we finished the project. Packt: How did you find the overall experience of writing your book for Packt? Reza: The first few weeks it was hard, because I wasn’t familiar with the structure of a book (I mean structure of cookbooks), but after that I matched my content with this structure and felt comfortable. All Packt editors were nice to me. They were available any time that I needed them. I appreciate their support in this book. Packt: What tools or configuration do you use for your workstation? Reza: I used Microsoft Windows as OS on my machine, and SQL Server Client tools and Visual Studio, I used VMware Player to create and run virtual machines, because when you write a book you need to have multiple environments and virtual machine is the best place to do that. Packt: What projects, if any, are you working on at the moment? Reza: I am working on some BI projects for customers; alongside a website for SSIS which will be published soon to be a source of all SSIS materials and link to all forums, sessions and books about SSIS. I will announce that website in my weblog soon. I am also planning for my next book on ETL architecture. You can also read original interview script in Packtpub website. Congratulations Reza. It was an amazing interview. I am waiting to hear about your website soon. Cheers.